Some people appear to be happy on the outside, but they struggle anxiously behind closed doors and don’t give the matter much thought as to why. As long as they’re busy doing whatever it is that distracts them from the truth – their truth – they’re like a boulder tumbling down a mountainside: they bounce and react impulsively to the surrounding environment, and they blunder onward with no thought as to where they’re headed. They get their house, sometimes a really big one, and they think that’s the meaning of life. And they never question it until they feel empty inside, often decades later. Yet their eyes continue to betray the sadness that they refuse to speak of, and perhaps don’t even know they carry. 1. Integrity is the foundation of a happy, meaningful life. A lot of the everyday conflict that arises in our lives exists simply because we’re not living in sincere alignment with our core values – we’re not being true to ourselves. Wherever your heart is – wherever your truth is – that’s where you will find your reason to smile. 2. Happiness depends on being free, and freedom depends on being brave. You have to be willing to take a chance on what makes you happy. The only way to find true happiness is to be vulnerable sometimes and risk the possibility of being completely cut open. 3. Happiness is wholeness, and every step and experience is what makes you whole. Without each life experience, you are a blank page, an empty journal, an unsung lyric. What makes you ALIVE is your will to live through today’s challenges and then hold your head up high tomorrow with hope and determination. 4. A happy life story does not mean an easy life story. The best thing that you can do is to follow your heart. Take risks. Don’t just make the safe and easy choices because you’re afraid of what might happen – if you do, nothing will ever happen. You must work hard to make your life as beautiful as the dreams that dance through your imagination, while at the same time respecting each step along the way. 5. Happiness lives in all the small things. Rediscover the sensitivity of your childhood eyes. The eyes that saw life as it is – a beautiful compilation of tiny lives, each lived one at a time like snapshots in a family photo album. That saw beauty in flowers and rainbows and wild animals. That marveled at fireflies and sunsets and starry nights. That let you dream every instant with your eyes wide open. 6. Happiness is not some possession to be prized – it is a quality of thought, a positive state of mind in pursuit of meaning. The ability to find beauty in the humblest things makes a home happy, a relationship lasting, and a life lovely. One must find the mindfulness to truly appreciate the small things while chasing after the big ones. 7. The secret of everyday happiness is not in always doing what one likes, but in mindfully liking what one does. Be present with each step, do your very best, and let go of the rest. There is always, always, always some reason to be grateful and something interesting to learn along the way. 8. You can’t be happy unless you’re unhappy sometimes too. You can’t completely shield yourself from sadness without also shielding yourself from happiness. Light needs darkness to be light. 9. Happiness is an evolving mindset. Living a happy, positive life hinges on your ability to accept the fact that everything is constantly moving onward, away from everything that previously existed. No matter how good or bad you have it right now, it will change. That’s the one thing you can count on, again and again. 10. Happiness flourishes through detachment. Happiness grows in direct proportion to one’s acceptance. Happiness grows in inverse proportion to one’s expectations. 11. It’s impossible to build your own happiness on the unhappiness of others. Don’t put others down; lift them up. Use your voice for kindness, your ears for compassion, your hands for charity, your mind for acceptance, and your heart for love. 12. You are incomparable to everyone else, and so are your triggers for happiness. Social comparison never stems from a healthy, happy place. It makes no sense to directly compare yourself to someone who is NOT you, or worry that they are judging you for being YOU. If you feel called to compare yourself to someone else, compare yourself to an earlier version of yourself, and admire how far you’ve come. Which law of happiness discussed above resonates the most with you right now? Do you have anything else to add to the list? And finally, if you haven’t done so already, be sure to subscribe to our free newsletter to receive new articles like this in your inbox. The first three laws strike a cord with me in major way. Authenticity is where I’ve taken a wrong turn when it comes to lifestyle design — in the past did what I thought would make others happy, and I ignored my desires. I showed up as who they want me to be, not ME. Thank you, Marc (and Angel), as usual. Your words make a difference in my life. I recommend your blog and book to everyone I truly care about. I love your idea about subtracting the obvious so you can see the meaningful. That’s such and simple, profound way to think about eliminating unnecessary physical and mental clutter from our lives. Thank you for this post…another gem. That’s the point that struck me most too. I think it’s not that easy to do though. The obvious tends to overshadow our vision. I’ll be defenitely trying to apply this advice in my life. I am even excited to find out what those little things are around me that I might not even notice. I have learned that I have control over NOTHING but only MYSELF. Nothing is forever and everything is temporary. I live in the moments for moments are only that… moments. Not only are we not promised tomorrow but we aren’t promised every single second! We may not be able to control what events come upon us but we have all the control of how we handle it. For this too shall pass. I love your sentiment, Joy. Thanks for your life teachings of positivity. I always look forward to your articles…God blessings to you and yours. This point is a mantra I live by, you brought the point straight home: Use your voice for kindness, your ears for compassion, your hands for charity, your mind for acceptance, and your heart for love. We are to purpose in our hearts to be somebody’s answer daily. The law that most resonated with me is that Happiness Flourishes Through Detachment. I find this to be true because our pain is in direct proportion to the size of the gap between our expectations and our present reality. 4, 5 & 11… If I could get my realtor’s license behind me and hold on to those three things, I think I would be more inclined to see the bright side more often. Thanks for this beautiful piece. Happiness is a choice, it doesn’t depend on what is or not happening; you decide to be happy, it’s an attitude. Looks like your grandmother was a smart woman. The poem is a great blueprint for a happy life. I have noticed the 8th point “You can’t be happy unless you’re unhappy sometimes too.” and fully agreed with it. People must think about it that if you have never tasted the sadness then you can’t know what the happiness is. Wow….#2 sure hits home. Sometimes one just MUST take that step out in faith and I certainly have difficulty doing that. How does one take that very first step out into faith? Oh what an uplifting post….. Thank you sooooo much….. Thank you for lighting up my heart again………. I LOVED all of them!!! But number 8 was incredibly true and is such great way to frame our down moments. Some fab tips. Some of these Ive thought of before and I’m sure many others have. Its just remembering these things that difficult at times. Great article. Love this!! Thanks for posting, and it makes such great sense. I am a very lucky person in that I can be happy just observing Nature , and it’s a gift I wished everyone had. Hello Marc, when i got to that point I had to pause and think about it for a while. You are so right. It is not enough to to do what we like, but we have to mindfully like them too. I have been a silent follower of your blog for some months, and I must say you and your wife inspire me. These are going to help me out a lot because my life is really ruff right now. I have gone through a lot in the past week. 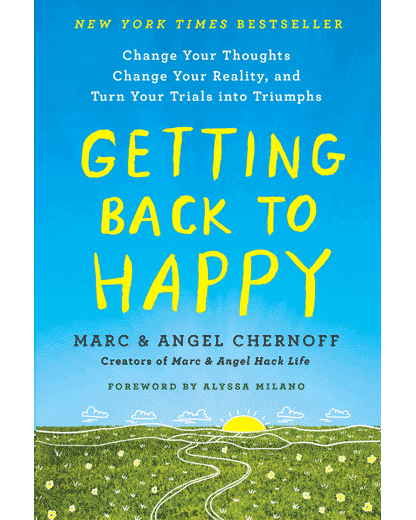 A great list you have put together here regarding happiness. #4 resonated with me in regards to . A happy life story does not mean an easy life story. “The best thing that you can do is to follow your heart. Take risks. Don’t just make the safe and easy choices because you’re afraid of what might happen – if you do, nothing will ever happen.” Such an important point. In addition, the poem at the end is priceless and I thank you for sharing, I will also print and laminate it for posting in my office as well. I love the way the two of you are sharing your information. It really puts a lot of things in perspective. And it gives me inspiration to overthink my life and look at my own role. There’s only one thing that keeps me confused: taking risks, following my feelings and also that things aren’t always easy…I have serious doubts about my relationship…should I take the risk and break up (there are two kids involved) or should I lable this as a hard part in life and keep working for a better relationship. My husband truly is a warm and caring person, but I think I don’t love him as I’m supposed to. I would like to have some advice on that. Some words of advice from a mother of 3 and grandmother of 4. My family means “everything” to me. If I could have a do over, I would have stayed w my husband, father of all 3 of my amazing adult children. And done whatever it took to keep our family togetter. We have put our family through so much pain and grief with our actions. I have remarried 3 times, currently engaged. He has remarried 3 times also. It has been so difficult to find anyone to love and respect our children the way they deserved. So it has truly been like torture to see what our kids and grandkids have had to learn to deal with. The jealousy of our spouses towards the time and money that we share with our kids and grandkids just has been excruciating not only for us but more for our precious family. Of course my ex and I still have to spend time together at special occasions and events. And we have had to communicate during different things that come up relating to our family. You loved this man you married enough to take those sacred vows together, you can love him again even more and continue to learn everything that you need to do to keep a rock solid foundation for your precious family. Seek your higher power to guide you in the direction you need to go for the help you need, whether it be counseling, reading and listening to the things you need to keep it together. There are soo many tools out there to help you both work to regain those feelings and make them even stronger. If I could do it again I would have done it so different and saved everyone a lifetime of hurt and tumultuous times. Of course I realize that’s the past and we have all grown from our experiences. We are who we are because of our lives events . And I am a very positive and happy person. The added stress has caused me to have many health problems and there was a period of time when I was bedridden and so my kids had to go live at their dad’s house. He was so involved with chasing whichever number wife that he didn’t take the time to really be there for them, so they basically raised themselves. They have all paid the price for my decision to give up on my marriage so many years ago. Let me take the opportunity to thank you for this post. Points 11 & 12 resonate very strongly with me. It is really true what the elders in my neck of the woods always told us ( when we were young ). “You are never too old to learn.” I have learnt so much from Marc and Angel. I just read the article at the recommendation of an awesome relative and good friend. Almost every one of the points struck home with me especially at this time in my life expecting to make some major changes in the very near future and to do just as the article says, be happy with myself and my life! So, a big Thank You for this article. I’ve also subscribed to future articles and look forward to receiving and enjoying reading and giving them the time and though they will, I’m sure, command. Once again as a new subscriber, Thank You and I look forward to future “revalations”. Number 2 resonates with me. I have paralyzingly fear of leaving my marriage yet it’s all I think about. It’s not horrible. I’m just so stinking unhappy and yet the bad outweighs the good for the most part. I need to take a chance on happiness and stop worrying about others and worry about myself. Easier said than done. What a wonderful article. All the points are absolutely true. Personally 1 and 8 are very important. This is a beautiful article, thanks so much for this! I’m glad I read this today. Lately its just been work, work, and more work. I haven’t been sleeping because the thought of deadlines won’t leave my mind. After reading this, I was reminded of everything I already knew but have been neglecting. Life is short, nobody who was ever about to die has ever said I wished I would have worked more. I feel much better about things now that I’ve read this, as it put things in perspective. Thank you greatly for sharing!